Have you ever wondered how the popular handmade rag dolls are made? We’ve all seen them on Pinterest, in popular children’s boutiques, and on Etsy. They are beautiful and whimsical and there is one for every taste and budget. But did you know that YOU can make one too? Even if you don’t know how to sew or if you don’t have a sewing machine. Here are the basics to get you started and guide you in creating your very own heirloom doll. Handmade dolls bring magic and joy to our hearts and homes, helping to create warm memories for your children. When I was pregnant with my first child I knew I wanted to make dolls for her. My first attempted at doll making was a Waldorf doll, which turned out pretty ok (no really she’s not terrible!). As my daughter grew I discovered rag dolls. I first came across an heirloom rag doll in Martha Stewart Living magazine and I just had to get one for my daughter. But budget wouldn’t allow it. So I spent the next 10 years making dolls for my kids. So that means I’ve been in your shoes. I’ve been the absolute beginner with no idea where to start. My goal here is to help you create a magical little fairy, or elf, or pirate, or cat for your child to treasure, and even pass down to their children. What is an Heirloom Rag Doll? Heirloom Rag Dolls are dolls handmade with bits and pieces of cloth (rags), embroidery floss, and sometimes paint, buttons and yarn. They are considered one of the first toys to be created. Their legacy is long and their magic is deep. Anyone can make a rag doll. 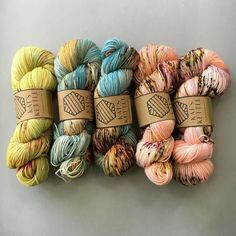 They are unique to you, even if you use a pattern. There are endless ways to create and customize an heirloom rag doll. The time and effort you put into your creation will result in a lifetime friend for your child. A rag doll is not the same as the cat breed “Ragdoll”. Aside from the obvious difference that one is a doll and the other a cat, it’s spelling is different. Around 1890 factory production of rag dolls started in the US and Europe. France began creating luxury rag dolls for export around the same time. Before that rag dolls were usually created by children, mothers, grandmothers, or other family. Most historic rag dolls that have been found don’t have a face, maybe the face has just been worn off through years of love and play. The Amish have a traditional rag doll that doesn’t have a face, and Waldorf dolls have a blank expression on purpose. These are meant to facilitate all areas of emotional exploration through the dolls. Should a child be angry, often the doll is angry as well. It’s harder to convince mom that barbie is mad when she’s smiling ear to ear (I have 32 barbies from my own childhood, so this is definitely not a meant as a dig). A Doll pattern (you can draft this yourself. 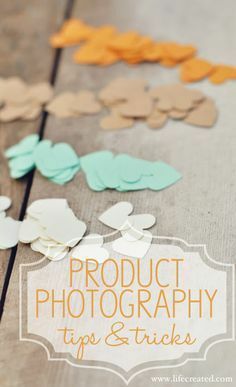 Pinterest has a wealth of easy patterns and tutorials to use as inspiration. I’ll post a PDF to download soon). Doll clothes pattern (Pinterest is your best bet till I’ve uploaded some patterns and tutorials for you here). Stuffing. Wool, Corn, cotton, polyfil. For a very firm doll choose Wool, for a softer (and floppier) doll polyfil is sufficient. HINT: You can also use the stuffing from a pillow that is no longer being used. Marking pen to mark your fabric. This is my favorite, I use an iron to erase the lines. Upholstery or button thread for attaching buttons and hair. Draw, or print your pattern on to paper, and cut it out. Press your fabric so its nice and flat. Stack two layers of base or skin fabric right sides together (so that the wrong side is facing up on the top piece and the wrong side is facing down on the bottom piece). Lay the pattern on the base fabric, making sure seam allowance is included. Mark along the seam you will sew (this will ensure that your lines are straight and even so the doll won’t be lumpy). Pin and cut pattern pieces out. Sew along the indicated seam lines (Make sure to leave an opening for stuffing – about an inch). Clip into the seam allowance at any sharp turns in the pattern (such as where the head and neck meet), so when the fabric is turned it doesn’t pull and wrinkle in those areas. Attach legs as per pattern instructions. Create the face using paint, embroidery floss, buttons, felt or fabric scraps. Attach arms, add buttons if using. Knit a wig cap and attach, then add yarn strands for hair, or sew on fabric or felt hair, or paint the hair on. Make a simple dress out of some rectangles, sewing up the sides and leaving room for the arms and a fold, folding over the top parts and sewing a channel for ribbon, insert ribbon, and gather around the neck by pulling both ends of the ribbon, or use a pattern to create clothes. Choosing a fabric with no stretch will help retain the shape of the doll once stuffed. If your fabric stretches horizontally (the usual stretch for fabric) your doll will be wider than your pattern calls for. If the fabric stretches vertically then your doll will be taller/longer than anticipated. If you are using jersey, or other knit fabric the doll will stretch out to be quite a bit bigger than your pattern (there are dolls that use jersey as their skin fabric, these are Waldorf dolls, and the jersey is stretched tightly over a very solid interior made of tightly rolled and needle felted wool roving). The lower the eyes are on the face the cuter and younger the face will appear. Always test your marking pens to make sure they come out of the fabric before marking the dolls face. Keep all supplies together in a box. Creating a doll is very time consuming, but you can do it in as little as 15 minutes a day. By keeping all your materials together and you can pick it up anytime. You will need more stuffing than you think you do. Pinterest can be a huge help with doll body inspirations and clothing ideas. Jersey knit fabric is very forgiving and doesn’t need to be hemmed, so you can create quick easy leggings with a roll down waist. How long will it take me to make a doll? It can take any where from one hour to several days, but you can do it in as little as 15 minutes a day, when spread out over several days you can easily create a magical heirloom doll of your very own design. Is it hard to find materials? No, you can use anything you have around the house as long as you have at least 1/4th yard. Gather your materials and then plan your doll around that if you want to experiment without spending any money. Can I wash the doll? No unfortunately these dolls are not washable once stuffed, because the stuffing dries at varying times due to its thickness in different parts of the body, and this results in stains on the outer “skin” fabric and makes it look splotchy, and the stuffing can move around and lose its firmness resulting in a lumpy bumpy doll. With a damp cloth the dolls can be cleaned up sufficiently. I’ll experiment with washing for future posts. How do I know if my fabric has stretch? if you lay your fabric down flat, then hold either side in each hand and gently pull apart. Is your fabric stiff? Does it have any give? Do the same with the bottom and top. Hold both ends in either hand and gently tug. Usually even quilting fabric will have a very slight give when stretched horizontally, but not when stretched vertically. Cotton muslin fabric is woven and has no stretch at all (as well as linen). Jersey knit is very stretchy and sometimes has 4 way stretch and would be more appropriate for the clothing for this type of doll. What age are these dolls suited for? Ages 3 and up would be a safe bet. It all depends on how many small embellishments you are adding to the doll. 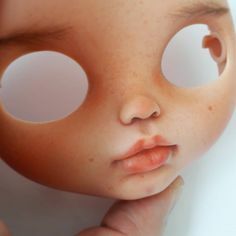 Since you are the designer you can change anything on the doll to make it more baby friendly, like omiting the buttons as eyes, and at the shoulders. Sewing on fabric hair instead of loose yarn hair. Did I miss anything? Do you have more questions! please don’t hesitate to ask me anything doll making related. Leave your question below in the comments or find me over on instagram @nickylindolls. Rag dolls are a magical gift that will be treasured for a lifetime. They are highly individual and unique to the creator. following this simple guide makes creating your own doll an attainable goal. Thank you for sharing, can’t wait for your pattern……love your dolls. Oh thank you for taking the time to comment!!! I’m really nervous about this new website. I haven’t even officially announced the site. I’m curious how you happened upon it?